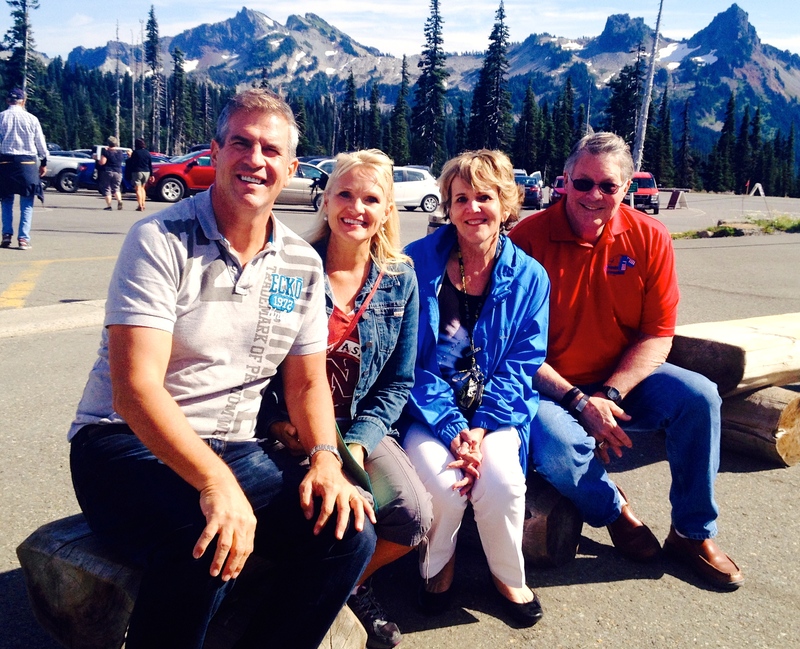 Last week, Carol and I were in Seattle, Wa. for a Standing Stone Ministries retreat. Standing Stone Ministry serves full-time Christian ministry leaders and their spouses. This includes pastors, vocational ministry leaders, and missionaries. We were hosted by Norm and Bobbe Evans. Norm played in the NFL for 14 years, and won two Super Bowls. He was a part of the 1972 undefeated Miami Dolphins. After his days in the NFL, Norm served as President of Pro Athletes Outreach and Bobbe was the Executive Director. For 26 years they led this organization that reaches out to athletes and coaches around the world. They are now mentoring couples across the country through www.standingstoneministry.org. Carol and I are being trained to also mentor couples through Standing Stone. This was a life changing week for us. Were are grateful to be mentored by such a loving and experienced couple. We are looking forward to serving others in the same fashion. I believe we men tend to minimize what it’s going to take to make a marriage and family work. We drastically misjudge how much focus it requires to build a life-long, fulfilling relationship. I know that I was horribly unprepared for what I was about to face when Carol and I walked down the aisle. Just like that day in practice, when I was hit by that safety, I wasn’t ready, and I had no idea what would hit me. Statistics are something sports fans seem to enjoy. Many relate to them. Many find them helpful in determining how they behave in life. Depending on whom you listen to, or which survey you believe, roughly 50% of marriages are ending in divorce. That is a significant statistic. It presents a troubling and bleak picture. Do you think any of the couples that those statistics represent, those who went to the altar, did so with the intent to get a divorce? I don’t think so. We do not consider how the enemy of our souls, the devil, does not want Christian men and women to live in harmony and holiness. I think he targets every man who calls himself by the name of the son of God. He knows that failed marriages send a message to others that Christianity doesn’t work! I am a fan of Animal planet, and the Discovery channel. I love watching things like “When Big Cats Attack!” They show a leopard, lion or a tiger crouching in the weeds, waiting, waiting, patiently waiting for the gazelle to get close enough. (Carol hates these scenes; in fact, I have to change the channel when she is in the room) For me however, the anticipation is captivating. When a big cat chooses to makes its move, it is an impressive sight of muscle, stealth, precision and ferocity. The helpless prey tries to get away, to no avail. Victory comes swiftly in most cases. I think Peter wanted to give us a picture of how fierce, malicious and dreadful the devil is. He is waiting patiently, taking his time, letting us believe we are just fine, allowing us to relax, wanting us to let our guard down. Then when he pounces, he can carry us off in his teeth. Only we are not dead. He just owns us. He controls us. He wants us to surrender our will to his. The devil doesn’t want to kill us, only wound us. If we are hurt, bitter, resentful, then we can become more useful to him. We are now able to inflict pain and anguish on others as his assistants. That’s what happens when he “gets a foothold” Ephesians 4:7b. I wish the enemy were as easy to spot as a player in an opponent’s jersey was. It would certainly be a lot easier to distinguish the good guys from the bad. He is actually in disguise: “for Satan himself masquerades as an angel of light.” 2 Corinthians 11:14. It is critical that we understand our opponent and his intentions. In football, we would spend hours and hours watching film and studying our adversaries. As a family quarterback, we are in training to combat the prince of darkness. He’s got some skill. One of my favorite segments on NFL films shows a wide-eyed Chicago Bears middle linebacker, Mike Singletary, looking menacingly at the quarterback. I met Mike many years ago, and he is a fine man of faith. However, his look and demeanor are a great visual to remind us of how our enemy has his eyes wide open, looking at us in a malicious way. “Put on the full armor of God so that you can take your stand against the devil’s schemes.” Ephesians 6:11b. That’s right. The devil is scheming against us! He is plotting, planning, creating tactics to get us off our game. He knows us; he is familiar with our weaknesses. He will be relentless in his attack on us! Think: blitzes from all corners of the field, unyielding persistent pressure. “For our struggle is not against flesh and blood, but against the rulers, against the authorities, against the powers of this dark world and against the spiritual forces of evil in the heavenly realms.” Ephesians 6:12. I’m a pretty practical guy; I don’t see demons at every corner or circumstance. I do believe however, there are unseen forces trying to hinder us as believers from experiencing the peace and love of God that is in Christ. Tempting us into sin: “Jesus was led by the Spirit into the desert to be tempted by the devil.” Matthew 4:3. Distracting us: “let us throw off everything that hinders and the sin that so easily entangles us.” Hebrews 12:1b. Like getting us to watch the cheerleaders on the sideline instead of focusing on our game. When we take our eyes off the field, we are no longer engaged in the battle. False teaching: “Satan himself masquerades as an angel of light.” 2 Corinthians 11:14b. When we read the headlines that question our skill, it undermines the confidence that is required. (Trust me, I know firsthand). Rebellion: “the spirit (the devil’s) who is now at work in those who are disobedient.” Ephesians 2:2b. Impairing our vision: “The god of this age has blinded the minds of unbelievers, so that they cannot see the light of the gospel of the glory of Christ.” 2 Corinthians 4:4. Your opponent starts trash talking, and grabbing you in inappropriate places during a pile up. You will be tempted to retaliate. (This too I know personally). It is not uncommon for star players to receive a lot of publicity. Their response to special treatment of “special players,” can quickly divide a locker room. Anger: “Do not let the sun go down while you are still angry, and do not give the devil a foothold.” Ephesians 4:26b. Envy: “If you harbor bitter envy and selfish ambition in your hearts…..such ‘wisdom’ does not come down from heaven but is earthly, unspiritual, of the devil.” James 3:14a,15b. In the following chapters, we will examine more of the devil’s tactics to derail our lives. We will break down numerous strategies and maneuvers he uses to keep us from enjoying, “life to the full,” John 10:10b. We will discuss how to relinquish the control of our lives to the Holy Spirit and discover, “The reason the Son of God appeared was to destroy the devil’s work.” 1 John 3:8b.